One thing a lot of homeowners and renters complain about is how difficult it is to keep their sliding glass doors and windows clean. 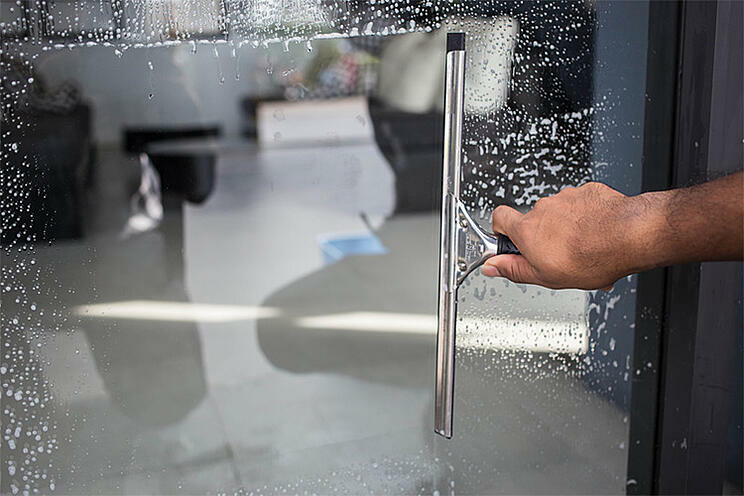 Here are a few tried and true methods for cleaning sliding glass doors and windows. Traditional glass cleaner can work well, but if you are looking for a more natural way to deep clean your windows try this distilled water and white vinegar mixture with a few drops of essential oil (if desired) in an empty spray bottle or large bowl. Microfiber cloths and a squeegee are the most effective tools for wiping away moisture and avoiding streaks. We recommend cleaning from top to bottom to avoid drips and spills on already cleaned surfaces. Another helpful tip is to clean horizontally on one side of the glass and vertically on the other side to identify possible streaking. A final buff with dry newspaper or a clean dry microfiber towel or cotton rag will give your sliding glass doors and windows a beautiful shine. The best times of day to clean your frameless sliding glass doors and windows are in the early morning or late afternoon/early evening when the sun isn’t directly hitting the glass. Hot weather can lead to the quick evaporation of glass cleaning solutions, thereby leaving behind unsightly streaks. The best times of year tend for washing your windows and frameless sliding glass doors tend to be in the spring and summertime. Spring is the season for deep cleaning after the gray and dirt of winter has passed. Choose a cloudy day in early spring to clean your glass surfaces. Summer time is also a great time for cleaning your windows and doors to remove the pollen residue and other spring flowering byproducts. Remember that regular glass door and window cleaning makes the whole process go by smoother and shinier!